While the thought of Las Vegas tends to conjure the clamor of slot machines and the click of poker chips, not everything in Vegas is centered on the gaming industry. 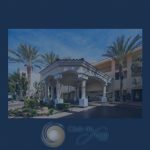 In fact, even if you love spending time at the casinos, there are plenty of reasons why you might want to consider staying at a gaming-free hotel or resort like Club de Soleil for your next Vegas vacation. Here are a few benefits to consider for your next trip to Vegas. Vegas is all about sensational fun, but if you plan on relaxing during your vacation, the casinos might not offer the most favorable atmosphere. A gaming-free hotel or resort can offer you the chance to unwind and slow down for a while. Since there are plenty of non-gaming options on or near the Strip, you do not have to worry about being too far from the excitement. When you are ready to jump back into the thick of things, a short walk or car ride will have you right back in the center of the fun. It is important to remember the gaming industry tends to cater to adults almost exclusively. While some casinos might have a few kid-friendly options, the whole family might feel more comfortable staying in a gaming-free environment. These facilities also generally offer more family-friendly activities. If you plan on visitingLas Vegaswith your special someone, you might be interested in some quiet, alone time. While the fun and glamour of the strip can be a great way to play together, you may prefer the peaceful and luxurious ambiance of a non-gaming resort when it’s time to wind down and relax with your loved one. If you are heading to Vegas with friends, you will likely want to party on the Strip for the first couple of nights, but you may also want a more peaceful environment to relax during the downtime. Getting away from the casinos for a portion of each day can mean more time to talk, relax and enjoy the company of great friends. Whoever you travel with on your next Las Vegas vacation, choosing gaming-free accommodations can ensure a more refreshing, enjoyable time will be had by all.